For lots of fellow Nicksters (the term used for Nickelodeon fanatics), the Nickelodeon Halloween event is something to look forward to in the month of October. 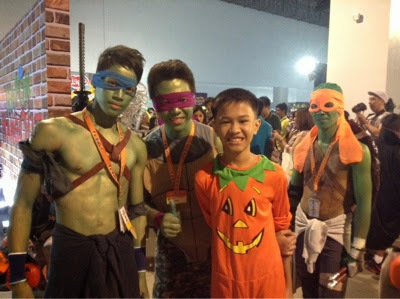 Every year, Nickelodeon Asia treats their fans in the Philippines to a Halloween party like no other. 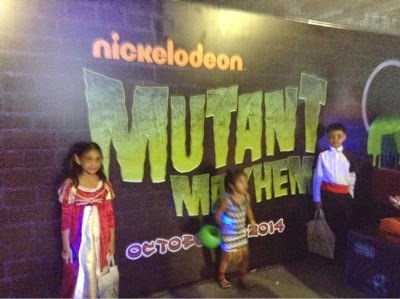 Nickelodeon had never failed to delight fans with their party-theme; from Shocktober to Takot Town to this year's Mutant Mayhem--Nickelodeon events are a must-visit because they guaranteed fun, surprises and freebies galore! This year wasn't an exception. 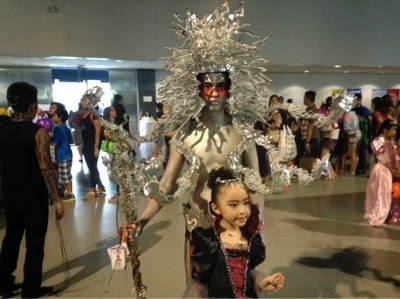 Held at the SMX Convention Center, SM Mall of Asia--Nickeolodeon Mutant Mayhem Oozing event had occupied all the halls on the ground floor of the SMX Convention Center. 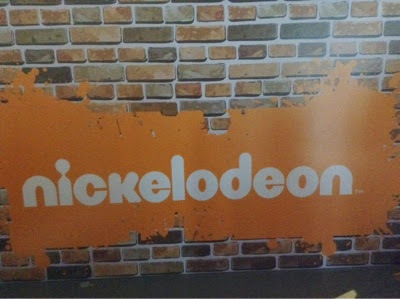 Last year, we went to the Nickelodeon event with my niece Icy. But she wasn't able to come with us this time around because she wasn't feeling well. 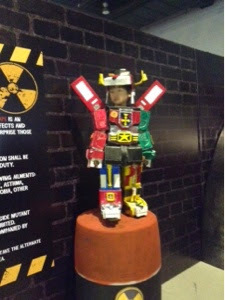 Hence, Kuya Kyle enjoyed the Nickelodeon game booths and kid activities solo. Of course, it would have been more fun if Icy was with us. 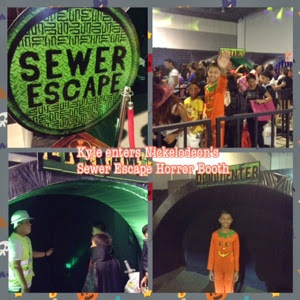 Kyle entered the Sewer Escape Horror Booth without any adult companion. He's already 12-years-old, so he's old enough to understand that 'it's all just for fun's sake and that whatever it is that he'd be seeing inside the horror booth isn't real'. I just waited for him outside the Sewer Escape tunnel because although there were adults with their kids who went inside, I feel I'm too old for such stuff. Of course, Nickelodeon wouldn't be complete without Robby hosting the on-stage games. Too bad, Kyle and I arrived quite late this year so there were no more slots for games his age-range, 7-14 years old. In short, unlike in the previous years that we've attended the Nickelodeon Halloween event, he wasn't able to play on-stage games. Lucky kids who were able to join the on-stage games brought home awesome prizes from generous sponsors as always. Even non-winners also received consolation prizes. 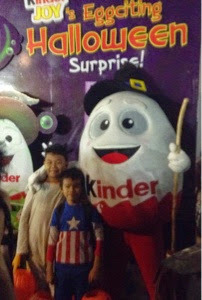 There were also photo booths as well as photo opps with Kinderjoy mascot. Ronald McDonald also graced the said event together with the Jack 'n Jill Chiz Curls mascot. Most guests came in costume or character, even adults--parents and Toy Kingdom employees. 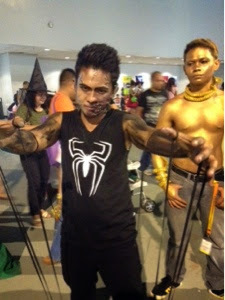 A prize was given to the "Best in Costume". There had also been some raffle with fantastic prizes at stake. 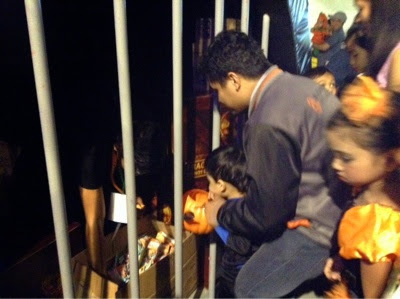 Loads of sweet candies were given out near the "dungeon" near the Sewer Escape tunnel. No wonder, there was a long queue on the said area. 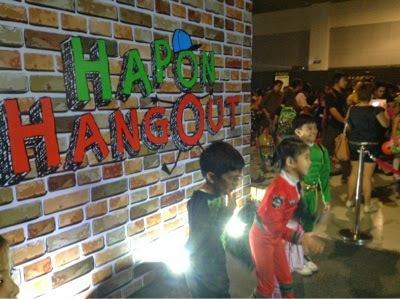 There was some dancing at the Nickelodeon Hapon Hangout booth where kids engaged in some upbeat dancing while being videotaped. We went home feeling tired with aching feet. I'm sure most mommies could relate with me. But nevertheless, for as long as your child/children had been happy, you wouldn't really mind, do you? 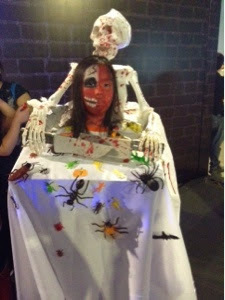 Kyle had one spook-tacular fun time at the Nickelodeon Mutant Mayhem. 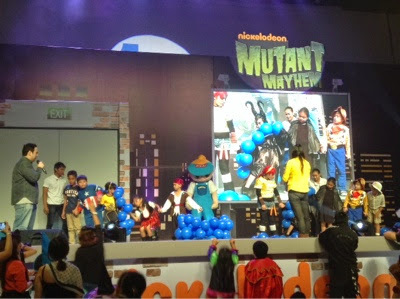 Nickelodeon's Mutant Mayhem was presented by Toy kingdom, Co-sponsored by Ace Water Spa, Jack 'n Jill Wiggles, Jack 'n Jill Chiz Curls, Kinder Joy, koala's March, Lipps Pop Stix, McDonalds, Monster High, Sketchers Kids, Swift, and Tobots. Bioessence is Now on its 20th Year and Counting!